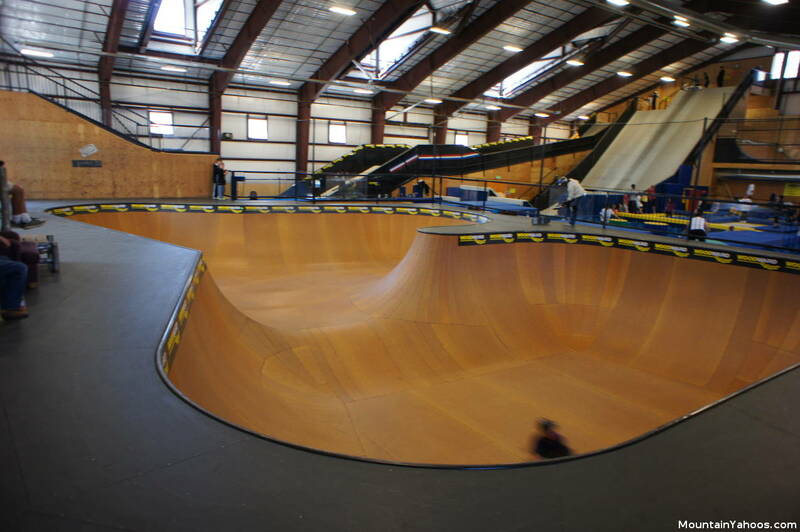 Woodward at Copper is an extreme action sports and gymnastics training facility. Derived from gymnastics training success with Camp Woodward in Pennsylvania, Woodward at Copper Mountain trains those who wish to extend their skills farther in a safe environment with coaches and the appropriate training facilities. 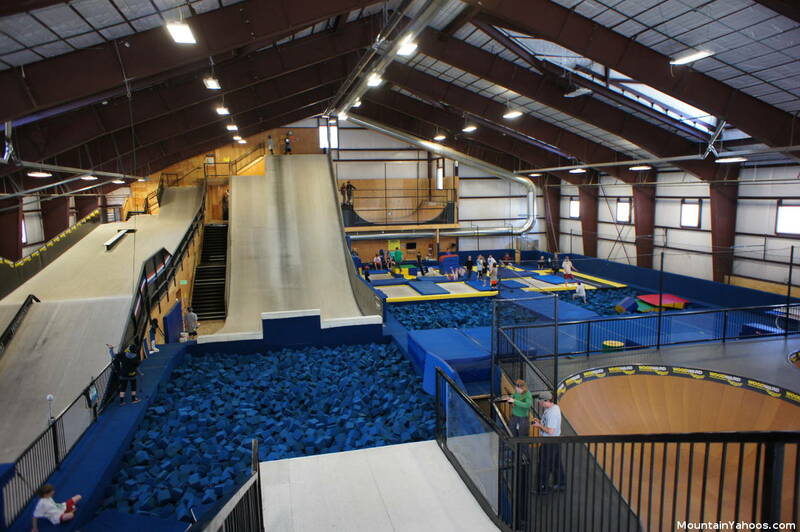 The Woodward "barn" is a large indoor facility (20,000 square feet) with a spring floor, six Olympic grade trampolines surrounded by foam pads (three which lead to a foam pit), jumps and platforms leading one onto a soft landing in foam pits. There is over 6,200 square feet of ski-able indoor terrain and three foam pits of which the largest is 48 ft x 27 ft x 7 ft deep. Notable Olympians and X-Games competitors Shaun White, Kelly Clark and Gretchen Bleiler have trained here. Trampoline for tots training is available for those 5 to 8 years of age. All other training is for those over 8 years of age with no set upper limit. View from the center of the Woodward "Barn". Best viewed in full screen mode. Hit the Esc key to return. Training is offered Sunday through Friday with options including tumbling and trampoline classes to advanced use of the ramps and foam pits. On the mountain a 22' super-pipe and 14,400 cubic foot airbag for aerial stunt training is also available as well as on mountain terrain park coaching and training. Summer Camps sessions available for Snowboard, Ski, Skateboard, Freeride Mountain Bike and Digital Media specializations. Part I: The first introductory session is one hour long and starts with tumbling on a sloping foam pad, spring boarding and jumping from the spring floor into the foam pit. This is followed by a trampoline session. This is typically all performed in your socks or bare feet. You will also be introduced to their safety protocols and culture. Part II: This session is also an hour long and will introduce you to the jumps. You will be required to provide your own ski/snowboard boots and helmet. Woodward will provide the roller ski/snowboard used on the jumps. The instructor will start you on a small skateboard ramp so that you will get familiar to the experience. You will soon be introduced to the much larger "small" jump. The medium and large jumps are optional. Pro tip: Do not carry anything in your pockets that can come loose. Cell phones, pocket change and car keys can all end up in the bottom of a foam pit from which it will not be recoverable. You have been warned! Single visits ("Drop-in sessions"), training classes, private lessons and day camp (winter and summer) arrangements are all available. The introductory session is required to be able to qualify for the drop-in sessions. Woodward at Copper is open both summer and winter. Training video footage from "The Barn" at Woodward. Woodward at Copper is located on Copper Road, a local village road leading to Copper Mountain ski resort on the South side of Highway I70. 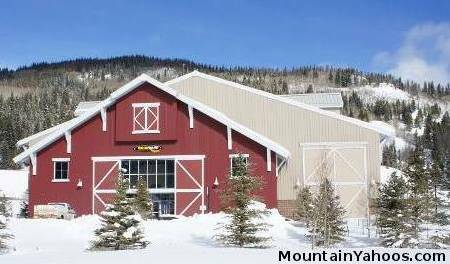 The Woodward barn is on your right hand side while driving on "Copper Road" to the ski resort.